A snafu by Harley sends Poison Ivy back to Arkham, and Ivy swears off working with Harley forever. 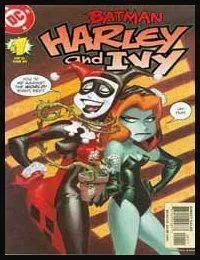 But Harley wont take no for an answer, so when Ivy breaks out and heads to South America, Harleys right behind her. Oily politicians, cutthroat mercenaries, and shower scenes abound.